There are few conditions which compare to the terrible symptoms which one experiences with dry eyes. Having dry eyes is an insidious problem which, when severe, can instantly turn your days into torture. However, just because this is the case right now does not necessarily mean that it needs to stay this way. On this page, we will break down the best natural remedies for dry eyes so that you can start getting your life back to normal. Before you start looking through the best natural remedies for dry eyes, it’s important that you that are aware of a few important factors. For starters, there are many different potential reasons that you may have dry eyes. If you aren’t sure what is causing your dry eye symptoms, finding natural home remedies for dry eyes will be a lot more complicated. Do you Know the Cause of Your Dry Eye Symptoms? This may be the most complicated part about finding the best natural home remedies for dry eyes. Of course, you can always put some artificial tears in your eyes when you experience symptoms, but you aren’t necessarily fighting the root cause of the problem. If you are simply lacking some tears in that current moment, artificial tears may be perfect. However, there are various other conditions that you need to be aware of. If you don’t know your specific condition, treatment can be a little more complicated. 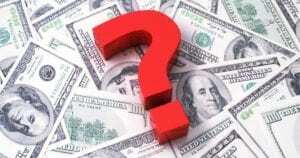 What is the Severity of the Dryness Symptoms? The severity of your symptoms is another factor that you should keep in mind when searching through natural remedies for dry eyes. 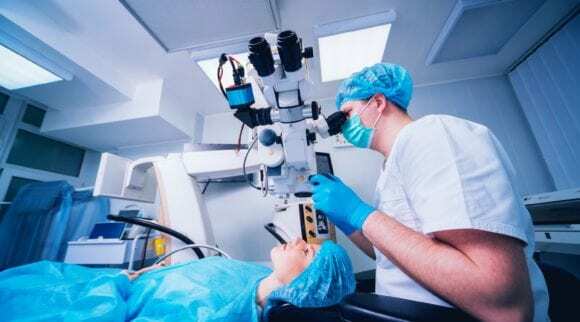 If you have a problem like demodex blepharitis (where mites crawl in your eyelids and cause inflammation and dryness symptoms) then you probably have a much more severe form of dry eyes than someone who occasionally suffers from the discomfort that dry eyes can bring. Have you Received a Professional Diagnosis & Treatment Plan? There are various benefits that come with receiving a professional diagnosis. When a medical professional (ideally an optometrist) tells you what your condition is, you will know exactly what you need to fight to make yourself start to feel better. Most importantly, a professional diagnosis typically also comes with a treatment plan that you can follow. In some cases, a professional will even recommend that you use natural remedies for dry eyes. How Much Time & Money Can You Invest? The amount of time and money you can invest in your dry eye remedy is something that you need to figure out right away. The more time and money you can invest, the better. However, one of these factors may be a concern to certain individuals. If you are tight on money, you might want to find the most affordable natural remedies for dry eyes. If you are a busy person, you will want to have natural remedies for dry eyes which are quick and easy to use. 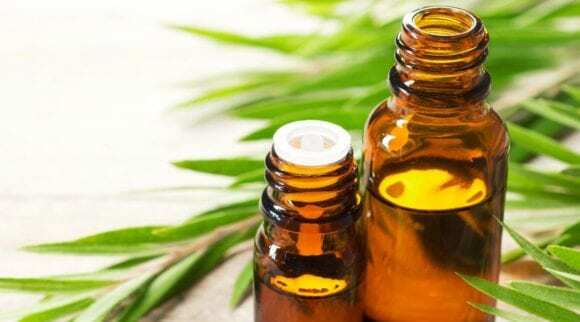 Does the Natural Remedy Have Other Potential Health Benefits? 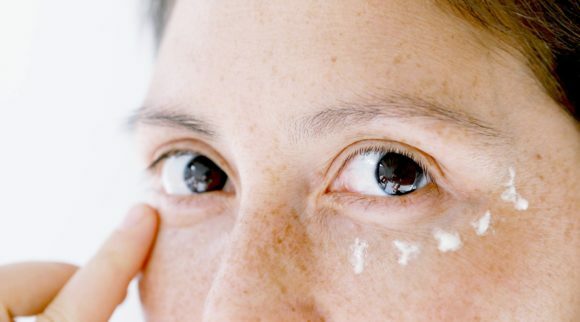 One of the biggest potential deal-makers that you should be on the lookout for as we break down the best natural remedies for dry eyes are products which come with the ability to help alleviate the symptoms of other complications that you may have. In the best-case scenario, you will find a product which will conquer the symptoms of your dry eyes while simultaneously eliminating the cause of the problem and anything else which may or may not be related. Of course, there are many prescription options that you can consider when you have dry eyes. However, many people prefer to use natural products on something as delicate as the eyes. With some of the most basic background information out of the way, we are now ready to go ahead and break down some of the best natural home remedies for dry eyes. While looking through each of the following products, keep the above facts in mind, as well as any personal concerns that you may have. This is a product designed for assisting anybody struggling with conditions like blepharitis, demodex mites, rosacea, acne, and overall inflamed skin. This is one of the best natural remedies for dry eyes since it can fight many different conditions while simultaneously allowing you to use other products like artificial tears when necessary. As far as natural remedies for dry eyes go, this product is a really great deal. Although there are clearly products which come at a better price, this is a versatile product which will definitely be preferred by anybody with a condition which is a tad more complicated. It will last as long as your typical bar of soap, and perhaps longer if you use it sparingly. This is a great product to consider if you want natural remedies for dry eyes which are capable of also fighting the underlying problem causing the dry eyes in the first place. Specifically, this is a product which can fight conditions like demodex, blepharitis, rosacea, acne, and even itchy and inflamed skin. Many people searching through the best natural remedies for dry eyes want to find a product which doesn’t require a time commitment. Since many people have busy lives, they will need to find natural home remedies for dry eyes like this product, which only takes a minute or so to apply while in the shower. Simply use it as a bar of soap all over for quick results. This is a product which is organic, vegan-friendly, and a 100% natural remedy for dry itchy eyes. Accordingly, the active ingredients that we notice in this product are both high-quality and safe to use on your body. Specifically, this product contains tea tree essential oil, organic green tea, organic olive oil, organic coconut oil, and raw shea butter. All of these products are powerful at fighting many conditions which cause dry eyes. 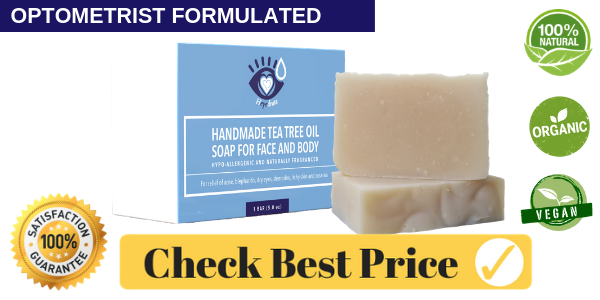 This tea tree face oil and eyelid scrub is great at fighting many of the underlying problems that cause your dry eye symptoms, making it one of the best natural remedies for dry eyes. Just keep in mind that this is not the type of product that you want to actually get into your eyes, though. Apply this to your face and eyelids and rinse well to help remove some of the causes of your dry, itchy eyes. Since this is a product which can conquer many symptoms of other problems like acne, rosacea, and even kill demodex mites, this is a really versatile natural remedy for dry eyes which many people will even choose to use well after their dry eye symptoms get under control. As a whole, this may be the overall best natural remedy for dry eyes since it is designed to fight the underlying cause of the problem and not just provide temporary relief. If you are searching for natural home remedies for dry eyes which are both effective at fighting the uncomfortable symptoms and the cause of them, this is a great natural remedy for dry eyes to consider. Of course, anybody who wants to have immediate relief for their eyes should consider using eye drops for their symptoms. However, it’s important to note that not all eye drops are equal. Products like this one, which don’t contain vasoconstrictors, are preferable and more natural. After all, you are not trying to fight allergies and red eyes (in many cases). Instead, you need a product like this one which is specifically designed to lubricate your eyes. 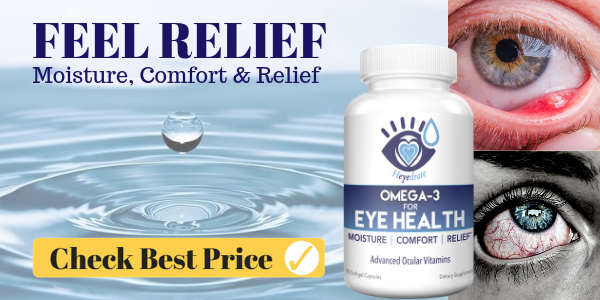 If saving money and having quick and easy relief are a couple of your top priorities as you shop through the various natural home remedies for dry eyes, this product will definitely be one of your favorite options. The price of these eyedrops is in line with most eyedrops available on the market, so they aren’t very expensive. Best of all, this product is specifically designed for dry eye conditions. Let’s clear some things up right away. For starters, you need to know that this is a product which is mainly designed to fight negative symptoms. However, this doesn’t necessarily mean that you will cure the underlying cause of the symptoms. Do not expect this product to be a one-stop solution for your dry eyes. 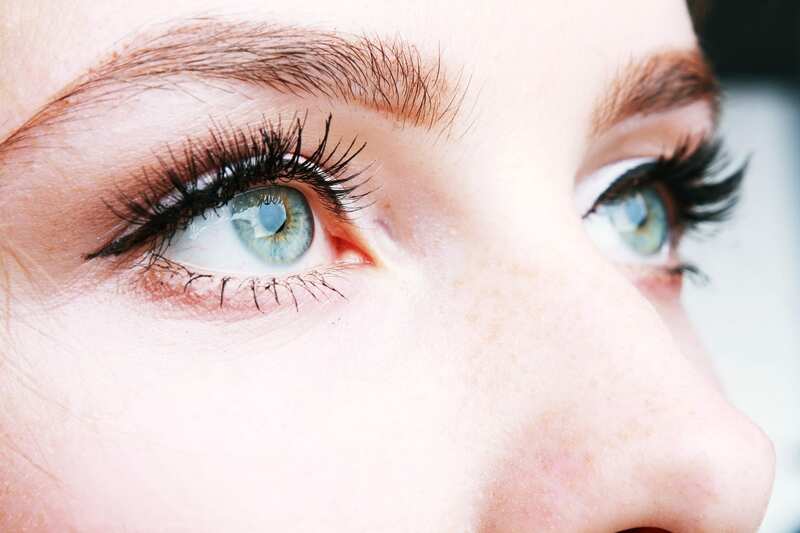 If you have a problem like demodex mites, you will definitely need to use some other natural remedies for dry eyes alongside this one. This is one of the best natural home remedies for dry eyes since it is quick and easy to use, effective, and provides instant relief when you need it the most. Although this is definitely not the type of product that you want to trust for fighting the cause of the condition, this is a great way to alleviate the negative symptoms that you experience with your dry eyes. This product contains belladonna to fight dryness, burning, and redness. There is also Euphrasia officinalis included for irritation and grittiness symptoms. Finally, there is Mercurius sublimatus included as a final agent in the fight against burning and redness symptoms. Each of the ingredients works together in an efficient manner to quickly fight the dryness symptoms that you experience. When it comes to the overall fight and effectiveness against the dryness symptoms, this is a natural remedy for dry itchy eyes that just about everybody should have in their arsenal. As we mentioned, though, this is not the product that you want to use as your sole agent in the fight against dry eyes. In reality, this is a natural remedy for dry eyes which will solely provide temporary relief. The relief that you will receive with this product is something which is only temporary. In most cases, it won’t actually fight the cause of your dry eye symptoms. Accordingly, you shouldn’t expect that this product will have other potential health benefits outside of what you immediately receive dropping the product into your eyes. Although this definitely isn’t a one-stop solution for curing your dry eyes, it will definitely provide some excellent relief. As a whole, this is a quick and natural remedy for dry eyes which can provide instant relief when you need it the most. In all reality, just about anybody searching the various natural home remedies for dry eyes should have eye drops like this at their disposal. That way, when your symptoms really start to act up you will be able to have quick relief and the ability to continue with your day normally. As we have attempted to illustrate, anybody who wants to find the best natural home remedies for dry eyes needs to both fight the negative symptoms and the underlying cause of the condition. Although this product may not give you the instant relief that you may experience with other natural home remedies for dry eyes, it will definitely be effective against fighting various causes of dry eyes. If you want natural home remedies for dry eyes that are both affordable and capable of lasting a long time, this is definitely a great product to consider. 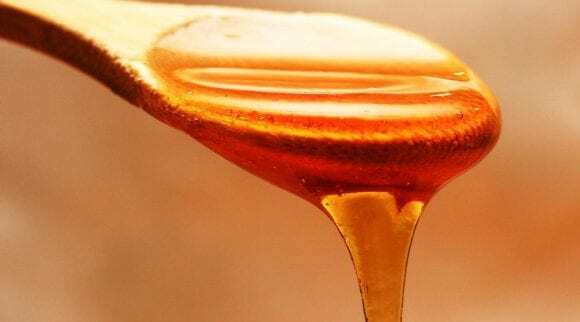 Although this definitely isn’t the most affordable natural home remedy for dry itchy eyes, it is both highly-effective and will only need to be replenished every month or so. 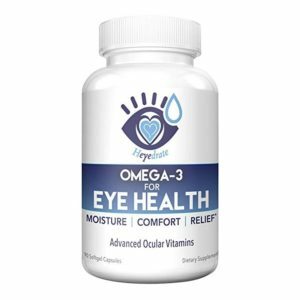 This product is designed with the intention of boosting your eye health. As a result, there are many benefits that can come from using this product. Any condition which causes your eyes to be dry and irritated is covered with this supplement. Accordingly, this is a great product to use for many different conditions that cause dryness symptoms. Omega-3s are also well known to help with heart and skin health as well as other ailments. As you have likely discovered, using natural home remedies for dry eyes sometimes requires you to make a time commitment which can turn into a boring routine. However, if you use a product like this one, which is a supplement, all you need to do is take it each morning with your breakfast and you are set. 3 pills per day is all you need (take them all at once or split them up throughout the day). Best of all, it is a highly effective product for providing relief from dryness. This category is probably what makes this natural remedy for dry itchy eyes so attractive. This product contains many different high-quality active ingredients which are both great for your eyes and body. This includes ingredients such as Omega-3 fish oil, DHA and EPA, Omega-7, Vitamin E, Vitamin C, Vitamin B-6, magnesium, and various other active ingredients. It is important to note that this is not a product which will provide you with instant relief of the dryness symptoms. However, it is definitely still capable of fighting your dryness symptoms over a longer period of time. If you want to have quick relief, try using a product like eye drops while simultaneously using this supplement. If you want a supplement which is capable of fighting the cause of your dry eye symptoms while simultaneously giving you the ability to look after your health, this is one of the overall best natural remedies for dry eyes. As described, this product contains ingredients which are both useful for helping dry eyes while simultaneously giving your body the nourishment and vitamins it needs to also prevent other problems from developing. 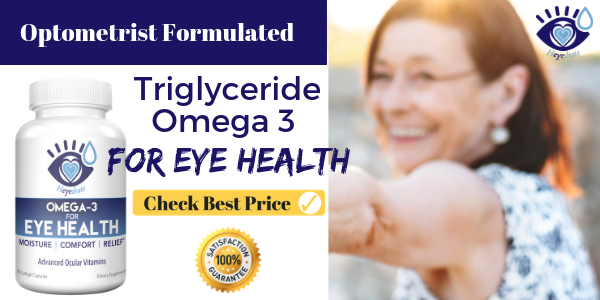 Anybody who wants a high-quality supplement that they can use for fighting dry eyes will definitely consider this product as one of their top options. Although it doesn’t provide the immediate relief that you can get with other products, this is a great product to use for the long term. Best of all, it contains many vitamins that you need as part of your daily diet in the first place. If you are on the lookout for one of the most effective and natural remedies for dry eyes, getting a dry eye compress mask like this one is a wonderful tool to help provide quick relief. Right off the bat, it’s important to note that this is a product which is only used temporarily, and not overnight. This product is designed to fight much more than the dryness symptoms that you experience. Specifically, this product is also a wonderful way to fight conditions such as blepharitis, meibomian gland dysfunction, styes, or even headaches and sinus problems. In other words, this is both a versatile and natural remedy for dry itchy eyes. This is one of the best natural home remedies for dry eye symptoms as far as the time commitment it takes for treatment is concerned. 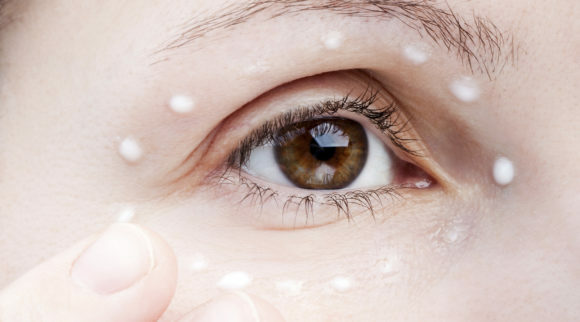 Each time you start to notice your dryness symptoms get out of control, simply microwave the mask for 15 – 20 seconds and then strap it onto your eyes for 15 – 20 minutes. Then, all you need to do is repeat this short process when you experience your symptoms again. You can also do the opposite and put this mask in the freezer before using it for problems like sinus and headache problems. When you do a warm compress using water and a towel, you are fighting the cause of your dry eye symptoms in most cases. 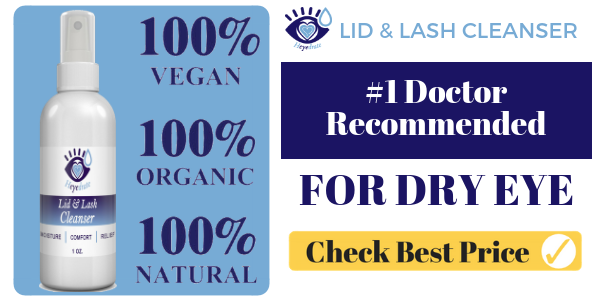 If you have a meibomian gland dysfunction or blepharitis problem, as an example, this product will both help the dryness symptoms and the cause of the problem in the first place. As we have mentioned, doing daily warm compresses is one of the most popular and widely recommended actions that a professional will have you do as part of a treatment plan. If you want to have a product which eliminates the need for using towels and hot water, this is a wonderful alternative to consider and it’ll save you tons of time. The health benefits that you will receive with this product are primarily geared at fighting the cause of dry eyes, and the dryness symptoms themselves. However, you can also use this product as a means of fighting headaches and sinuses. Simply put the mask in the freezer and pull it out when problems like this develop. If you want a natural remedy for dry eyes, this is a great way to avoid doing warm compresses the old-fashioned way. This mask is a convenient, quick way to get relief from your dry eye symptoms. Having a sleeping eye mask is one of the best ways that you can make sure that you get a good night’s while simultaneously ensuring that your eyes don’t act up or develop worse symptoms overnight. When you suffer from dry eyes, you are in a constant battle to reverse the condition and sleep is another part of the battlefield that you should consider. Although this isn’t the most affordable natural remedy for dry eyes, it definitely isn’t that expensive either. Accordingly, if you only want the best natural remedies for dry eye symptoms, this is definitely an effective and high-quality product to consider. Especially if you don’t like settling for the most affordable products in the first place. 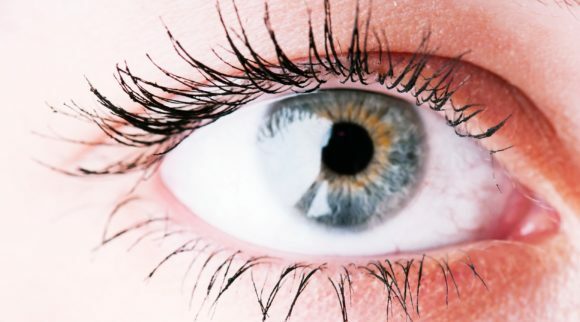 If you have dry eyes which tend to become worse overnight, this is probably one of the best natural remedies for dry eye symptoms that you can find. This is a good item to use either alone or alongside other natural remedies for dry eye symptoms. This product is designed to be comfortably worn on your face all night during your sleep. Since it blocks light, it will also come with the benefits of blocking out any light that you have around you while you sleep. Since it is made with memory foam and even comes with earplugs, this is a product which is both easy to use and can even help you sleep better. This is a natural remedy for dry itchy eyes which doesn’t actually come included with any sort of chemicals or potentially harmful products. This product is made with memory foam to ensure that it sits comfortably on your face all night without causing a rash or aggravating your eyes more. Don’t get confused here. Although this is a product which is designed to halt your dry eye symptoms, this is not a product which should be trusted as a one-stop solution for dry eyes. Although it is definitely an effective agent and natural remedy for dry eyes, it is ideally used with other natural products. One area where this sleeping mask stands out from other similar products is that this product is anti-bacterial and anti-mite. This means that if you have a dry eye condition which is also included alongside a bacteria and/or mite problem, this is another one of the best natural remedies for dry eye symptoms to consider. Anybody who is serious about fighting their dry eye symptoms should find a product like this one which works while they are sleeping. 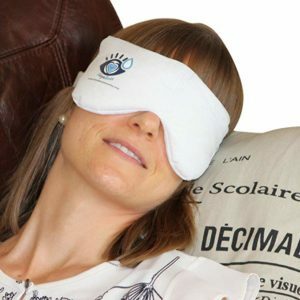 Since this sleeping mask helps fights the uncomfortable symptoms of dry eyes while you are sleeping, while simultaneously ensuring that you get a great night’s sleep, this is another great natural remedy for dry eyes. Anybody searching through the various natural remedies for dry eyes described above should first ensure that they know the exact condition they are fighting. Once you know your condition, you will be able to then find the best natural remedies for dry eye symptoms. 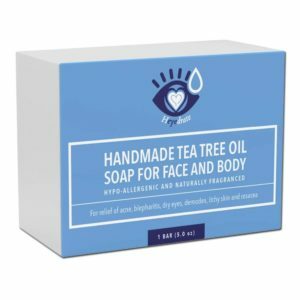 The most versatile natural remedy for dry eyes is perhaps the Tea Tree Oil Face Soap and Eyelid Scrub. 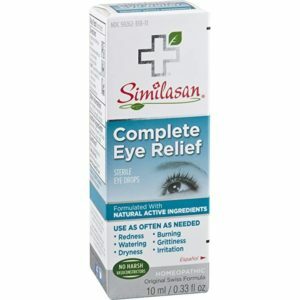 However, everybody should consider simultaneously using eye drops like the Similasan Complete Eye Relief Eye Drops. 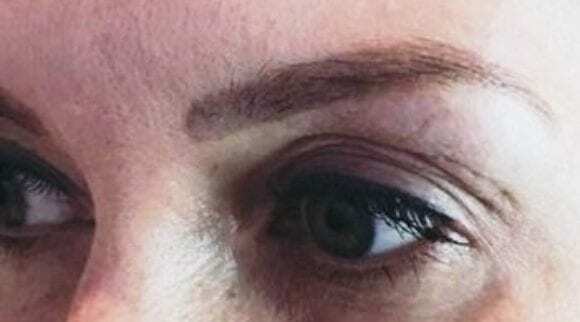 And, if you don’t have a great eyelid hygiene regimen, the Heyedrate Lid and Lash Cleanser should be used twice per day!